Watch the Connect live stream now! 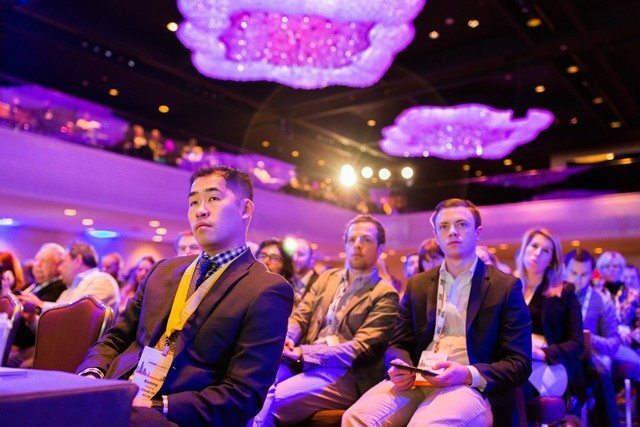 That was Godin’s opening to a keynote address that earned the marketing guru a standing ovation at Inman Connect New York on Wednesday morning. To organize his talk, Godin discussed the “ent” words. Here’s a recap of what you missed if you didn’t catch the live stream. Godin talked about writing a book about the Internet in the early 1990s — and why that was a mistake. At the same time, Yahoo was being built. So which makes more sense: Writing a book about the Internet, or building a website? If you have a book publishing business, you might think a book is the best option. History proves that Yahoo was a bigger success, though: Godin’s book sold just over 1,000 copies. What’s happening in the real world — right now? Most people pick the broker who calls them back first, Godin noted. “That is the single greatest success factor in getting listings — call people back first.” So how do you rearrange everything else you do to be present in the moment? Who’s showing up to lead and connect people? The world doesn’t need another middleperson to control access to data. We need something else — and agents and brokers are perfectly positioned to become that something else. Godin also noted that the bell curve, which charts “normal” distribution, is melting. “There are more people outside of normal than inside,” he said. “The reason is simple. If you give people a choice, they will take a choice.” And normal people have chosen to be normal because they don’t care — they don’t have a passion. “Nobody gets a Suzuki tattoo.” But Harley Davidson, said Godin, takes disrespected outsiders, gives them a badge and makes them feel like insiders. And Harley made more money from clothing than motorcycles last year. “We race from one thing to another, but the people who are winning have a consistent focus for what they are trying to do.” That simple. Real estate agents work for themselves — and you, Godin said, are the world’s worst boss. How are you training yourself? Are you a slave to the phone in your pocket? Because if the agenda is being set by your devices — it’s not your agenda. “This is the connection revolution, and we win with two things: Trust and attention.” You don’t get attention by yelling at people, but rather by getting people to talk about you,” he said. Document the fact that you showed up in a way that you’re eager to talk about — a commitment to more than doing just the next deal. This is an issue that looms large for agents, said Godin. Who would miss you if you were gone?